We understand that your property is a big investment and we want our customers to know that we are there for them to help them accomplish the dreams that they may have for their property. From new construction landscaping to existing landscapes that need a facelift, our professional staff help you get your perfect drive. We offer Blockpaving, Concreting, Decorative Gravel and Tarmac. 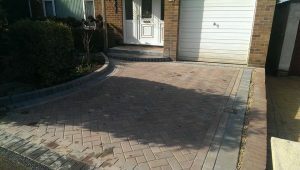 Custom Groundworks - specialists in driveways, patios, brickwork and fencing. Southampton, Fareham and Portsmouth.